A versatile cooler bag with many practical uses for your outdoor activities. This cooler bag is large enough to fit what you need and small enough not to be cumbersome. 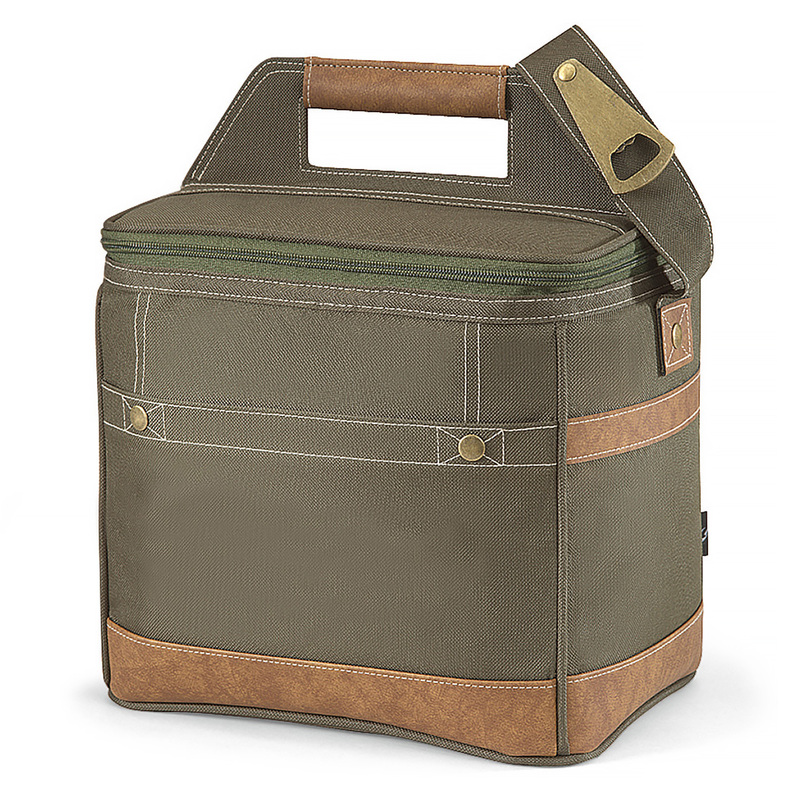 You can use it as a bottle cooler and a lunch cooler bag at the same time. 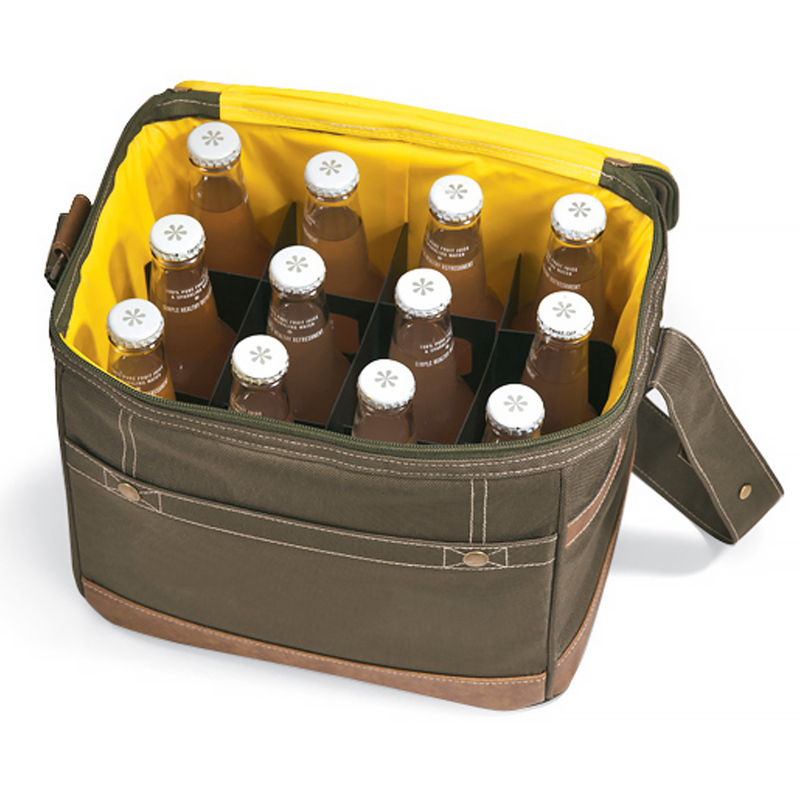 This rugged cooler with removable, collapsible 12-bottle divider will keep everyone refreshed. 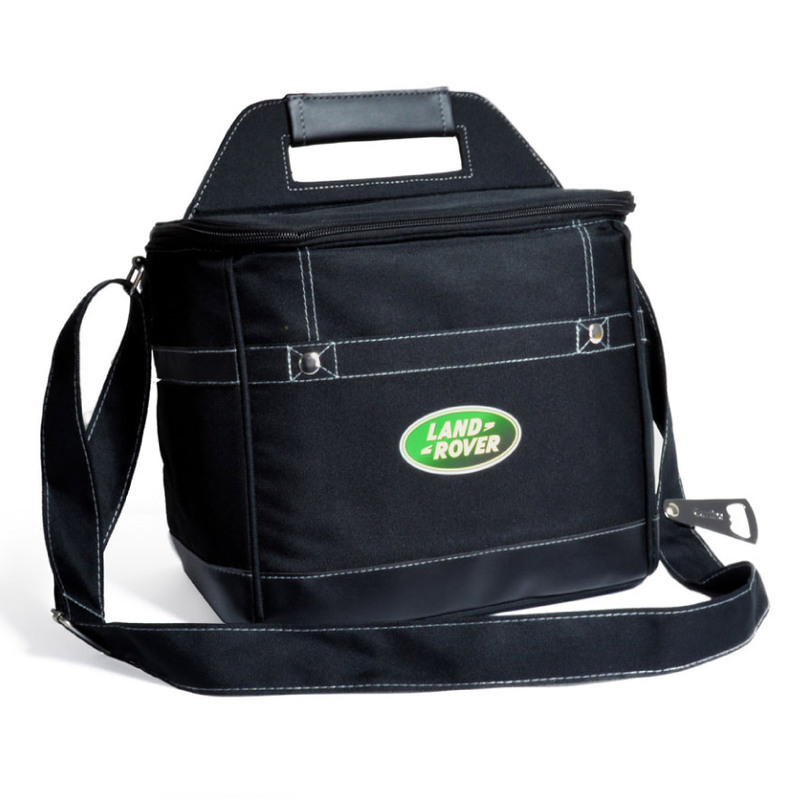 It is made of durable 600D polyester and has a carrying capacity of 12.3 litres. 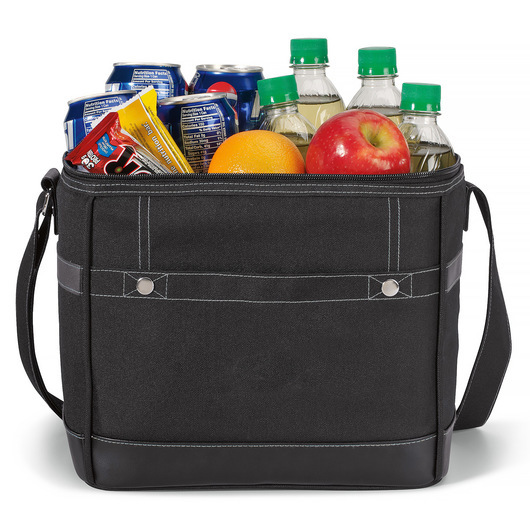 It features an adjustable shoulder strap features metal bottle opener, top padded carry handle, 12 bottle capacity or 18 can capacity, front pocket for storage, heat sealed interior, and PEVA lining (non PVC). 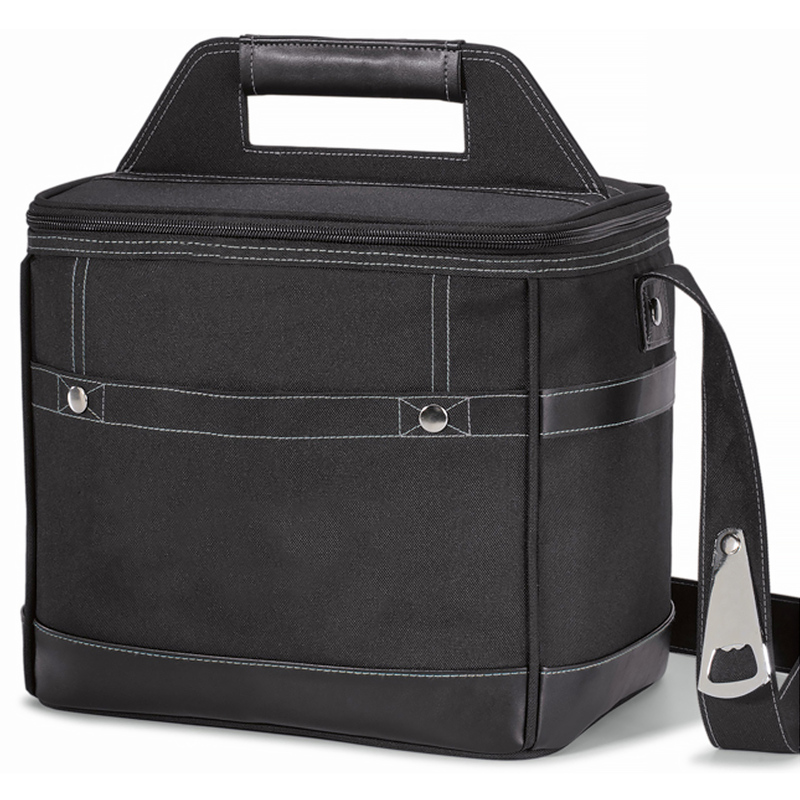 Easy to carry, practical, and convenient to use. Perfect for picnic, outdoor activities, travel, work lunches, and so on. Good gift to your friend.